Welcome to our Journal! From intimate weddings to a stage with thousands in attendance - we love it all. This space is designed to document travels, performances, and fun life events. As you share in our lives, we would love to share in yours! Please comment so that we can likewise know you! Thank you for stopping by! We hope you enjoy getting to know us. 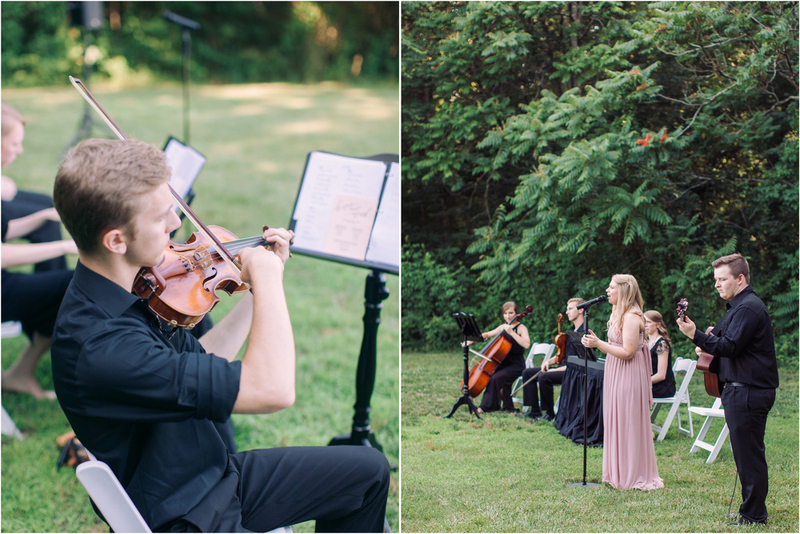 We are so excited to share these images and the music list from Hope and Mark's wedding last month! The weather was very hot and humid, but there was so much joy, beauty, and excitement to notice too much. 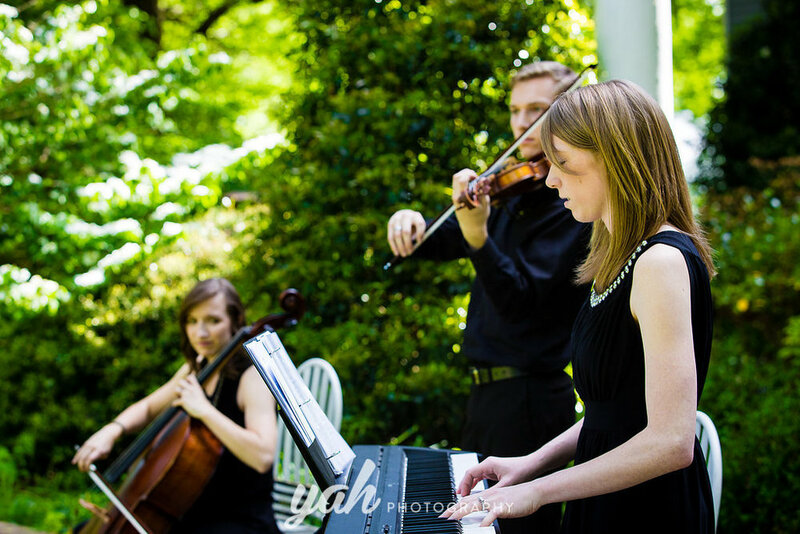 Hope is also a musician, and she knew exactly what she wanted for her wedding. 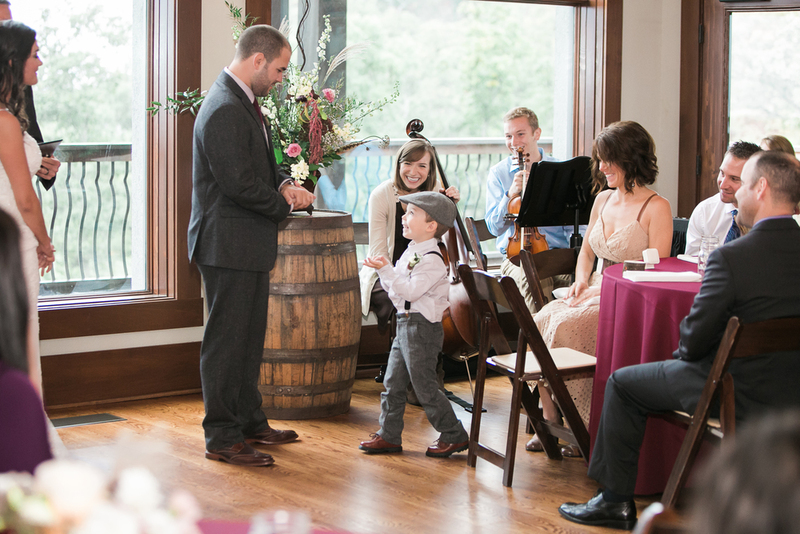 We learned all of the processional/recessional selections, and it all turned out perfectly. Thanks to Sarah from Clickaway Photography for capturing these! 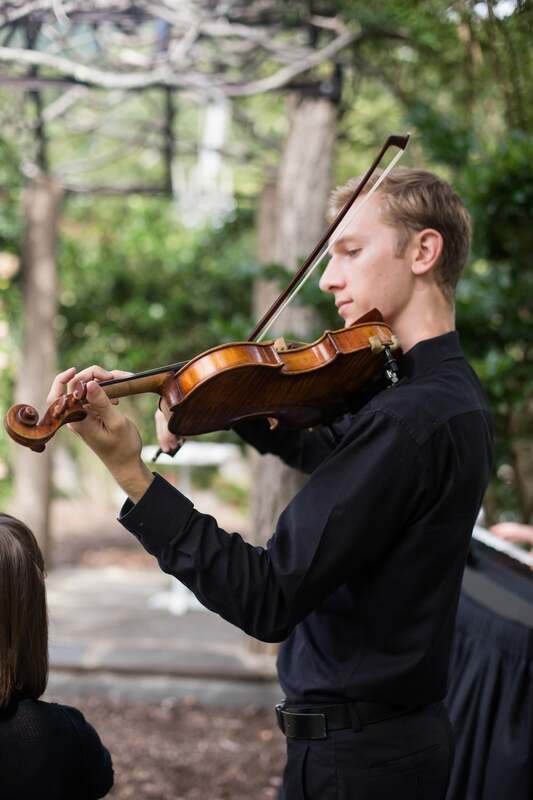 We began our busy 2016 season with a GORGEOUS wedding at The Ivy Place! Everything was in full bloom, and it was a perfect day to get married. 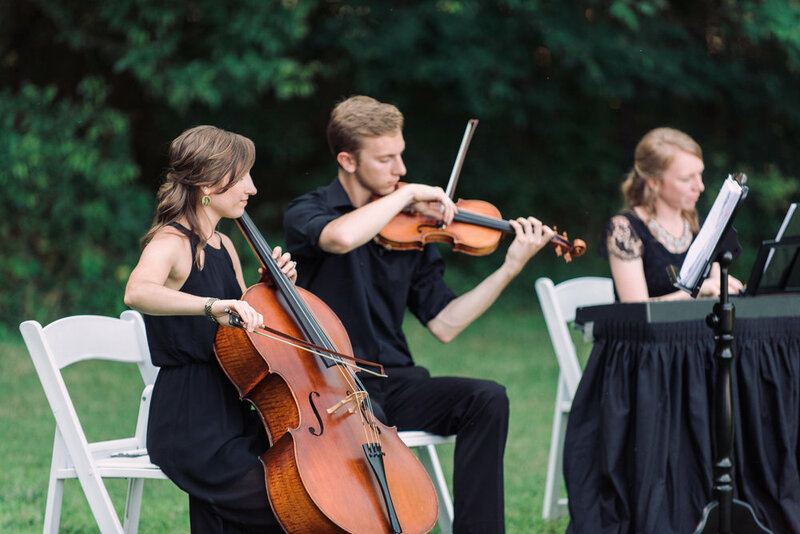 A big shout out to Kelli for so many fantastic images of us playing the Ceremony and Cocktail Hour for this wedding! Keep reading to see what music they chose [and to hear some samples!]. We have hit the busy wedding season! We are booked straight up to our beach vacation in May, and we are booking for the rest of the summer. Kaitlyn and Zach's wedding was one of the most perfect and beautiful weddings. 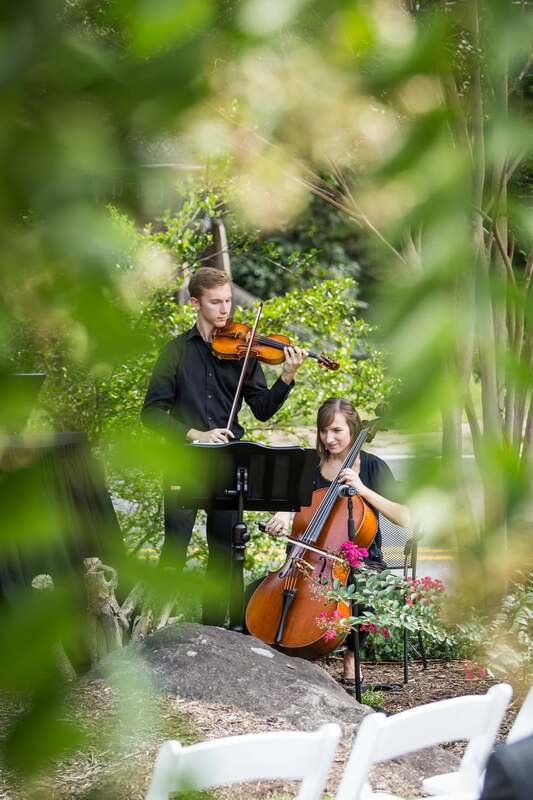 The Ivy Place is one of our favorite venues, the weather was perfect, and the views were gorgeous. A win-win all around! Plus, we loved her musical selections - we played everything by memory! View Sadie's full blog post here! CONGRATULATIONS TO THE NEW MR.+MRS. YOUNG! 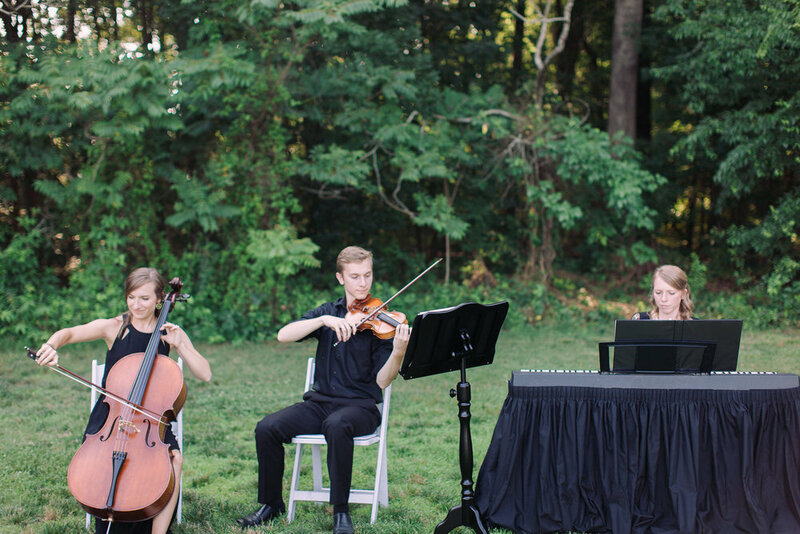 We love it when we get to play in local Charlotte weddings! St. Mary's Chapel is one of the cutest chapels just on the edge of the city. The acoustics in there are beautiful, and we have enjoyed every wedding in that pretty place. Lance and Emily were such fun to work with. They knew exactly what they wanted, and we had fun learning new pieces for them. 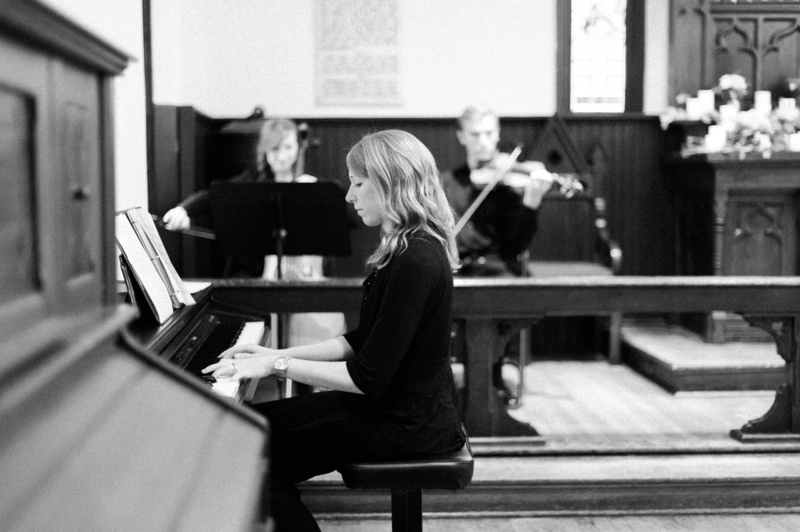 Keep reading to see their musical selections below! CONGRATULATIONS TO THE NEW MR.+MRS. MAR! In recent years, couples have steered away from the traditional church wedding to having a beautiful outdoor wedding. The decor is naturally gorgeous, and the photos usually turn out beautiful. However, outdoor weddings aren't always the most comfortable for guests and everyone else involved. Almost every October Bride who dreamed of having a perfect outdoor wedding in 2015 didn't get one. The rain was depressingly constant and seemingly unending. However, Kalyn and Kelin had such a perfect backup plan for their mountain destination wedding. The rain didn't dampen a single spirit. Instead, they had one of the most gorgeous indoor weddings with the misty Blue Ridge Mountains as the backdrop in the tall windows. Their wedding was intimate, emotional, and joyful. We smiled the entire time! It was such a joy to be a part of their wedding. Kalyn asked us to wear colors that coordinated with the wedding instead of our professional black attire that we usually wear. We always love to change things up a bit! Her colors were a natural palette of creams, ivory, khaki, green, and an accent of Red/Burgundy with the florals. So tasteful and beautiful. CONGRATULATIONS TO THE NEW MR.+MRS. BIDELSPACH! Engagement season has finally come! Congratulations to everyone who has recently become engaged over the holidays! Now it's time for the nitty gritty. Wedding planning! I want to encourage you to enjoy engagement. Have fun with the planning, be on top of things, and try not to be overwhelmed. I'm catching up on journaling so that you all can see some more music lists that other couples have chosen. First up - Danielle and Jared! Danielle is a gem. From the very first email she sent us, she was full of life, excitement, and joy. It was such a pleasure to be a part of her wedding! CONGRATULATIONS TO THE NEW MR.+MRS. Wike! 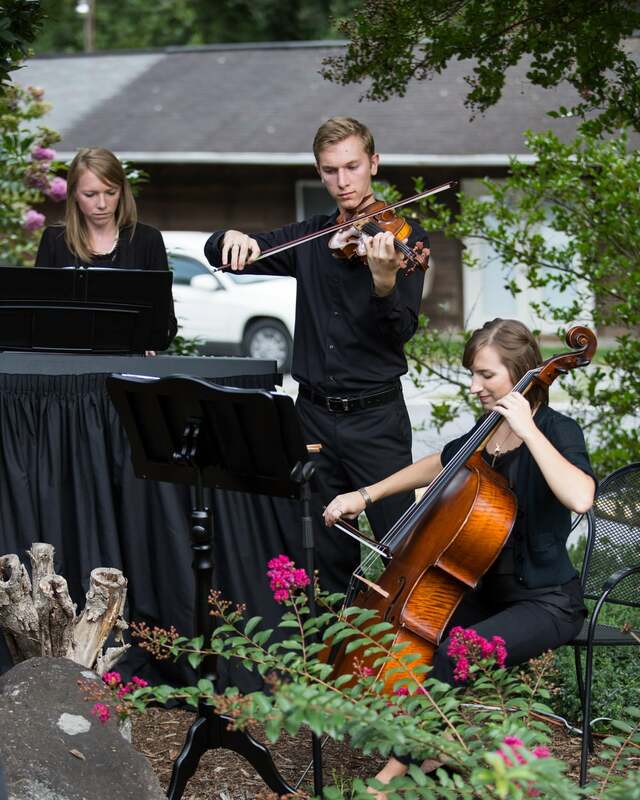 We are a sibling quartet located in Charlotte, North Carolina, but available for travel. 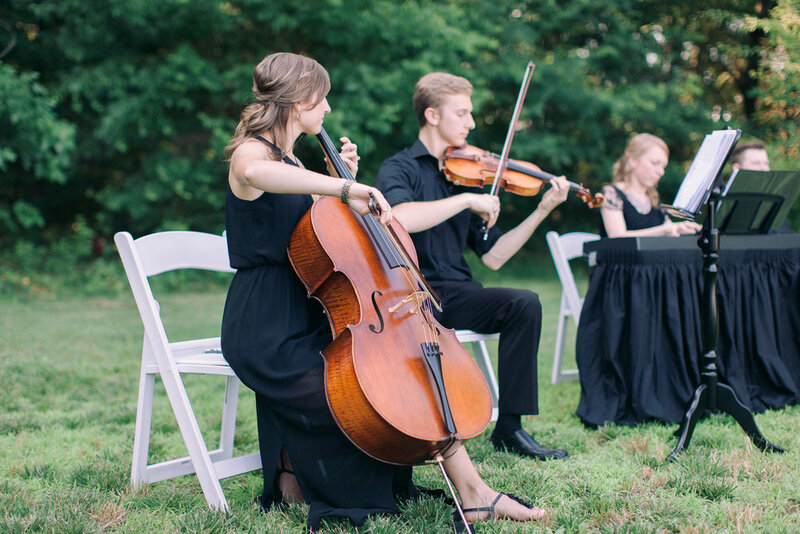 From the Prelude to the Reception, we bring excellence, class, talent, and joy to each event we perform--from an intimate wedding to an event for thousands. We are booking for 2017-2018, so please inquire ASAP to reserve your date and the musicians!